New Backpack Naples, used by the players and by the staff. Useful in sports or in your free time. 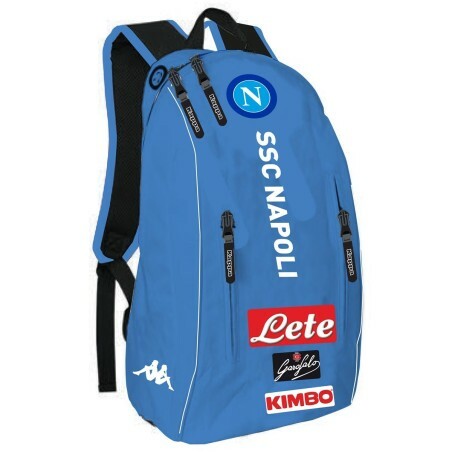 Naples backpack Downforces team shaped Kappa. Fabric: 100% polyester 300D. measurement: 31(L)x 18(W)x51(H). internal divider padded x laptop pocket, interior pocket, glove box, top exit x earphones. front pocket double zip. Customizations Kappa and Team Naples.